China is to ban social play-money poker apps and will also announce the game will no longer be viewed a competitive sport, a designation that allowed live poker tournaments to be tolerated in certain regions. The move effectively eradicates a previously burgeoning social poker industry and is likely to cut short the recent growth of interest in poker in the country. According to Chinese media reports, the government is expected to announce officially that all forms of online social poker games must be shut down by June 1, after which the advertising of poker games through social media channels will be illegal. Inside Asia Gaming reported that Hong Kong-based Boyaa Interactive, operator of the Boyaa Poker Tour, saw its share price plummet by 12 percent in the wake of news of the ban. Boyaa, which has held events in Macau, Hainan and Vietnam, qualifies the lion’s share of players for its tournament via its Chinese online app. Hong Kong Poker Players Association managing director Stephen Lai told the South China Morning Post that the ban will hurt the game from the grassroots up. It was growing very fast, now it is going to be more difficult for operators in Asia to organise poker events because Chinese players make up over half of the field,” he said. “It is also a blow for the Asian poker community because Chinese social media can no longer cover poker. While all gambling is illegal in mainland China except for two state-run lotteries, poker tournaments have been tolerated, to a degree, because of their “competitive mind sports” label. Cash games, however, have always been against the law. 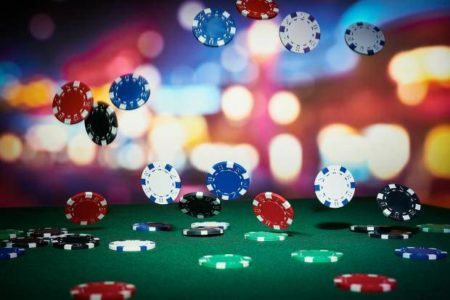 Hong Kong-based Ourgame, which bought the World Poker Tour from bwin.party in 2005 in anticipation of a Chinese poker boom, said in a statement on its website that it would review and modify its poker offerings in line with the new regulations, but its tone was also defiant.